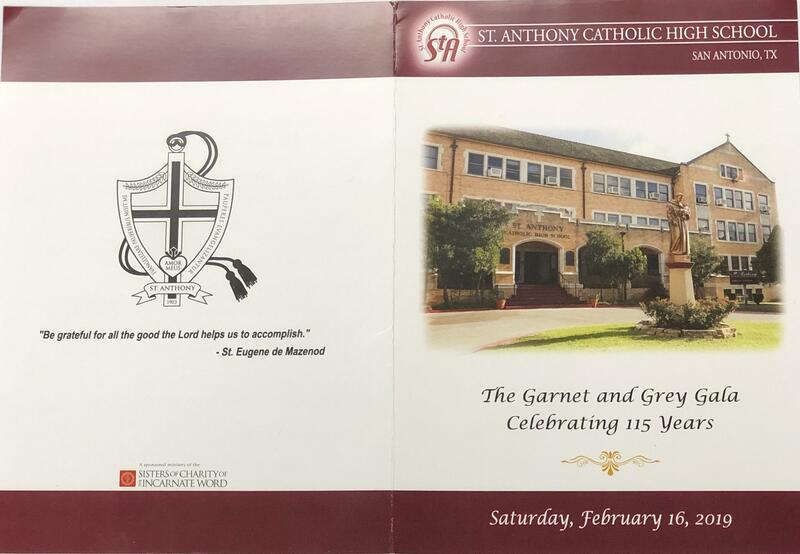 The Garnet & Grey Gala, celebrating 115 Years of St. Anthony Catholic High School. 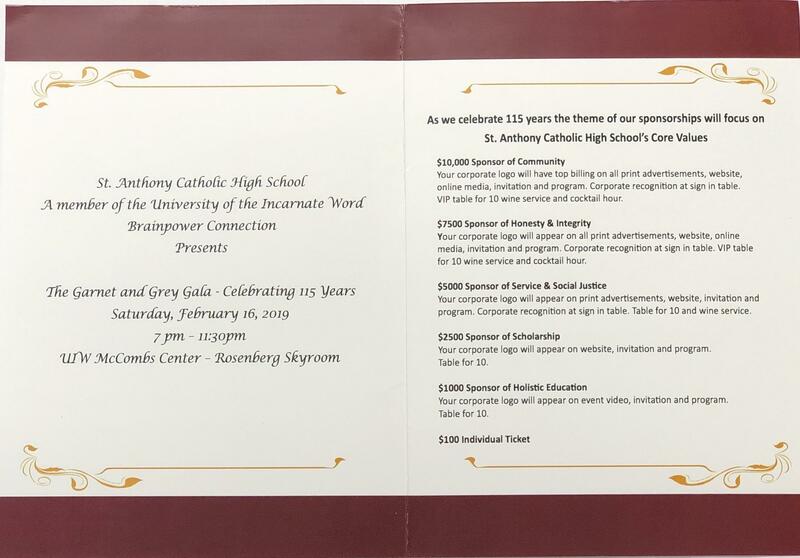 Please join us on Saturday February 16, 2019 at the University of the Incarnate Word Skyroom for a night to remember benefitting St. Anthony Catholic High technology upgrades. Link to purchase is below!